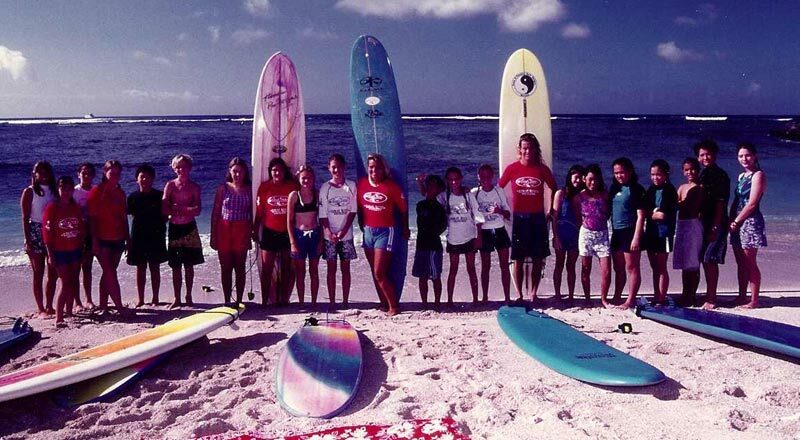 Nancy Emerson Oahu Surf Lessons and Surf Clinics has highly experienced surf instructors at her Oahu surf school. You will learn the sport of surfing in a friendly and fun environment in your surf lesson on Oahu, Hawaii surfing's birthplace. Nancy has been blessed to live part of her younger years on the island of Oahu growing up. Nancy still counts Oahu as one of her favorite surfing locations to surf and teach surf lessons and coach surfers that come world wide to improve their surfing in Hawaii. Hawaii's first surfing institution in Hawaii, Nancy Emerson started “Nancy Emerson School of Surfing” and has been teaching people of all ages to surf since 1973. 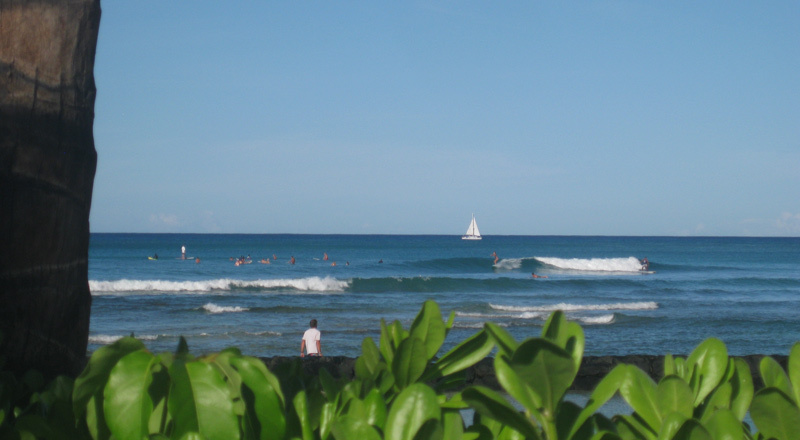 Focusing on the complete surf experience with Nancy's Oahu and Maui surf lessons and surf clinics. Nancy Emerson surf schools in Hawaii place a strong emphasis on water safety, ocean awareness and surfing etiquette. Coaching with a keen eye to the subtle aspects of form and style, with a specialty in developing a proper foundation for the beginner and first-time surfers, as well as providing the tools and techniques to help focus the skills of even the most experienced surfer. 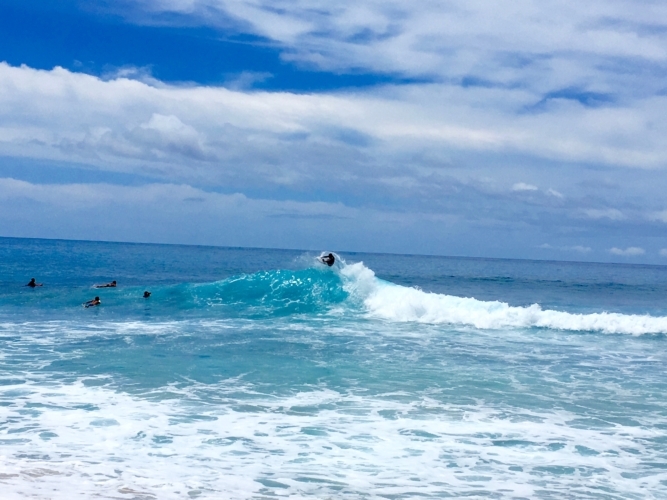 If you are planning to visit the island of Oahu and would like an amazing fun, easy and safe surfing experience, we welcome you to learn to surf off the coast of Oahu with us. You can choose from a Oahu surfing lesson, Oahu surf clinic and we can provide a surf guide for the experienced surfer as well. Your surf guide will take you to some of the best least busy surf spots. Nancy’s coaching team on Oahu can help you with any of your surfing needs and help you boost to your next level with your surfing. You ready to come and have a blast surfing in Hawaii? Then, Please Text Nancy on +1 (808) 294-5544 or +61 413 380-933. Or Email nancy@surfclinics.com and Nancy will personally help you with all your questions and reservations. Your personalized Oahu surfing lessons we want you to feel as comfortable as possible on your surfboard prior to getting in the ocean. Nancy Emerson School of Surfing program provides you time to ask any surfing related questions you may have. After paddling out to the break together, your surf instructor will be there to coach and guide you into the waves. Their focus in the water will be on having fun, your safety as well as learning proper wave etiquette, surfing style, and technique. Nancy guarantees that with her teaching techniques. 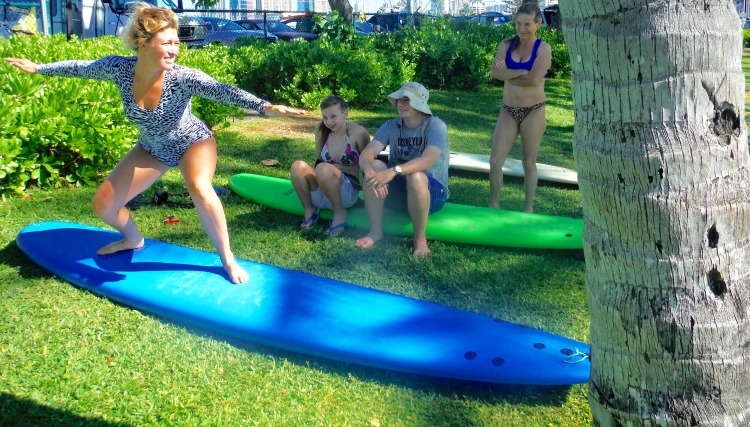 Nancy Emerson has only top surf instructors at her Oahu surf lessons which will help you to transform and progress your surfing ability to new heights of confidence and precision. This is based on Nancy and her surf instructors giving positive reinforcements, level of dedication, passionate, patient and sensitive style of coaching. Teaching for over 35 years worldwide. Nancy has a keen eye to the subtle aspects of form for the first time beginner to the experienced surfer, as well uses her holistic style of teaching to all surfers. Nancy’s surf schools are endorsed by the Association of Surfing Professionals, which is now called World Surf League or WSL. This gives you a private surf lesson where you will receive personalized instruction, customized to help you achieve your surfing goals. Private lessons are perfect for the first time beginners who want to learn the fundamentals of surfing or intermediate surfers who want to improve their skills. Our classes and surf clinics on Oahu are taught with an instructor by your side throughout your entire two or three hour class. Semi-Private surf classes and Oahu surf clinics are made for two to three people and are a perfect way to learn surfing techniques with someone you enjoy learning with. You do have an ample amount of individual attention during your surfing lesson or surf clinic and share your fun surfing experience which will make it memorable for both of you. Oahu has so many of Hawaii’s most beautiful beaches. World famous, Waikiki beach on the southern coast near Diamond Head, the big winter surf out on the famous North Shore and other fun surf spots are on the west side of Oahu. Ask about our surf lessons Oahu also on the West side. These are one of Nancy’s most favorite places for its magical settings of surf and passionate scenery. This is the destination you long for, and the place that beckons you back time and time again. The good news is that there’s no bad time to go to sign up for Oahu surf lessons or Hawaii surf clinics & lessons in Hawaii. You can expect a little more rain between November and March, but temperatures hover in the mid 70's to mid 80's all year round. Having traveled extensively, Nancy was blessed to grow up part of her younger years on the island of Oahu in Waikiki and on the West side out at Makaha. 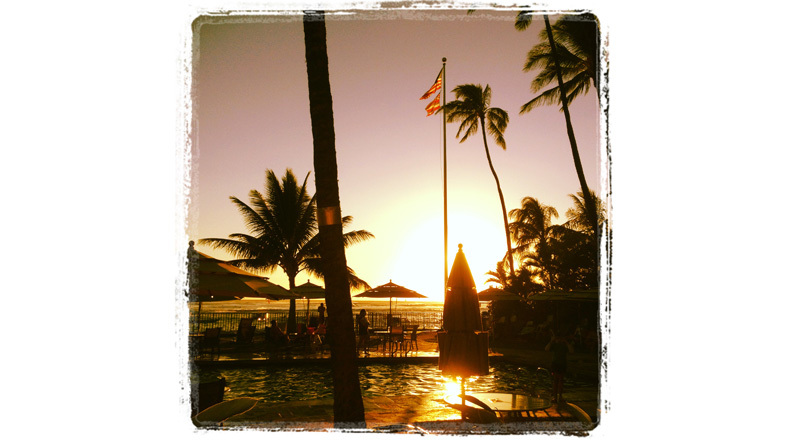 Nancy counts the island of Oahu as one of her favorite spots in the world. Nancy’s instructors are passionate and dedicated to teaching, sharing knowledge and providing a quality experience to each and every one of you who travel from all around the world to come and learn the sport of surfing here in its birthplace of Hawaii. Nancy guarantees that with her teaching techniques you will transform and progress your surfing ability to new heights of confidence and precision. This is based on Nancy and her instructors positive reinforcements, level of dedication, passionate, patient and sensitive style of coaching and teaching for over 35 years world wide. Nancy has a keen eye to the subtle aspects of form for the first time beginner to the experienced surfer and is endorsed by the Association of Surfing Professionals. My childhood friend Nancy Emerson always could surf. She shredded at our home break at Makaha and was fearless in the water. Always gave the boys a challenge for the biggest wave in a 12- 15 foot set and earned their respect. She went on to trail blaze and win surf contests all over the world creating a path for the girl surfers of today in a then male dominated sport. 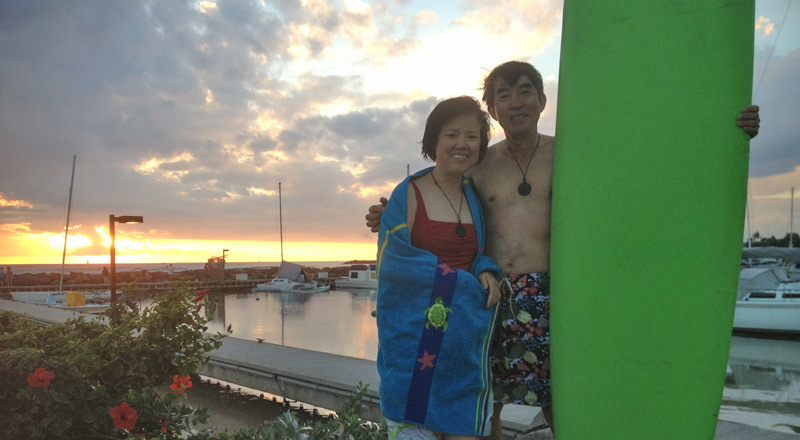 Nancy’s welcoming Aloha spirit, and genuinely felt she really wanted me to have a positive experience with my surfing. She took the time after I had filled out the on line registration, I thought was a very thorough questioner, for her to understand my experience with the ocean, and use as a teaching tool. Internationally acclaimed Surfing Champion Nancy Emerson with her personal technique will teach you how to surf and will have you experience one of your finest experiences of your life.